He regularly appears in matters concerning general commercial and contractual disputes in an insolvency-related corporate or individual context, for a wide variety of clients including trustees, liquidators, administrators and debtors. He commonly appears in the Federal Court of Australia, the District Court of New South Wales and the New South Wales Civil and Administrative Tribunal (regarding professional misconduct relating to solicitors). Jim’s expansive practice also extends to appearing in appellate jurisdictions, such as the Full Federal Court of Australia and the High Court of Australia. 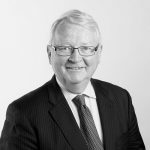 Prior to being called the Bar, Jim practised as a transactional lawyer, thereby bringing considerable experience to his practice as a barrister, particularly when advising and appearing for clients in litigious commercial, equity and insolvency matters. His front and back-end legal experience has served to provide him with a deep understanding of how disputes arise and a strong ability identify the myriad of ways in which they can be resolved in the best interests of his clients; whether in court or at alternative dispute resolution forums. 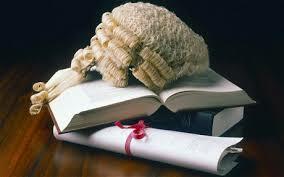 Prior to being called to the Bar, Jim practised as a solicitor in the areas of insolvency and bankruptcy. Over the past 20 years, he has delivered several lectures on insolvency and practice and continues to lecture at the University of Technology, Sydney, in Insolvency Law. He is also one of the co-authors of the Butterworths Bankruptcy Service in Australia.